Becoming Healthy Service Certified can be the single most socially responsible act your restaurant can do! 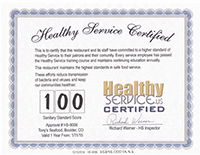 Becoming Healthy Service Certified is a commitment to the health and well being of your customers and your staff. We applaud your decision to take this important step for our restaurant workers and our communities. Please feel free to call if you have any questions at 844-86 GERMS. Our staff is happy to walk you through the certification process and we provide friendly email reminders of your progress so you don't have to worry about managing it yourself. Your restaurant must not be involved in any health related lawsuits and not had any health code violations in the past year. Our online application can be found here. 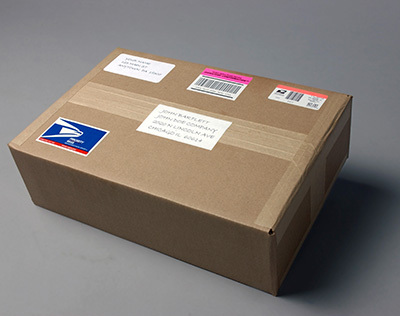 You will be contacted within 1 business day from the receipt of your completed application. From the beginning, our goal was for Healthy Service to be available to every restaurant and we have gone to great lengths to keep our costs very low. The last thing you need is high costs associated with better service. 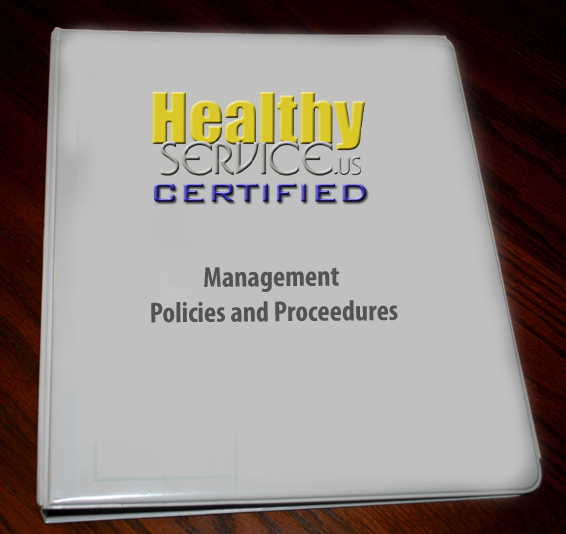 The Healthy Service Service Staff Training Course is key to the Healthy Service Certification. This course is engaging, filled with interesting facts and is applicable not only to the employees work life but their personal life as well. 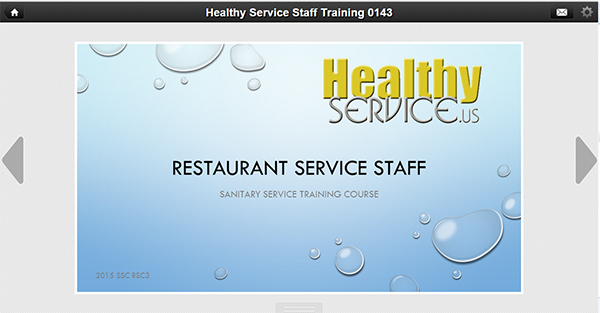 The course is online to make it easier on the staff and the restaurant. Staff can have a negative view on having to come in early, or on their day off, for a certification course. This leads to them taking the course less seriously and a lower retention rate. While the course is better served online, it also enables us to keep our costs lower, a benefit to every restaurant. All of this knowledge is no use if it can not be easily implemented. Fortunately good health is an issue that is easy to relate to, for everyone. Also, you will notice that many of your employees will strongly support these changes. In your start up package you will receive a Management Handbook (in binder and PDF formats)that will give you the education, policies and tools to make these changes quick, positive and hassle free. 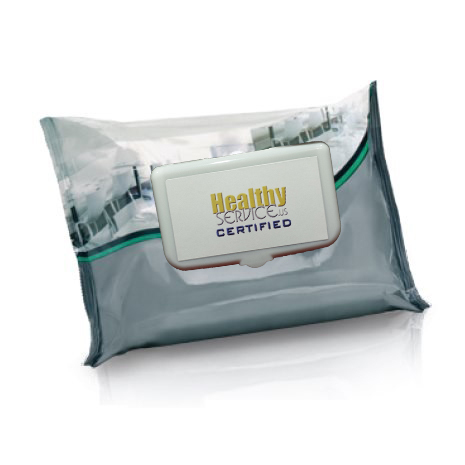 Healthy Service has some of the products available that you will need to maintain the highest sanitary standards at your restaurant. These products are ones that are actually used when offered to staff. If you prefer, you may purchase your own products, this will not affect your Certification. 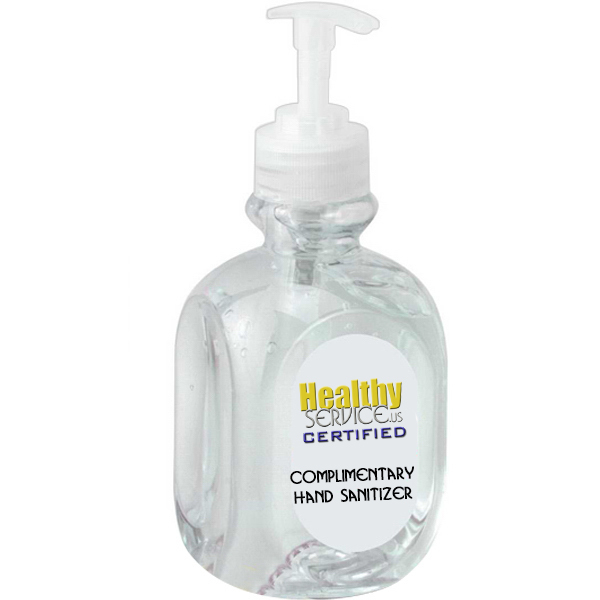 We highly recommend using the Healthy Service Hand Sanitizers at your tables. Whereas diners do not read everything they see coming into your restaurant, they will be surprised and pleased to see the hand sanitizer and know that your restaurant is Healthy Service Certified. 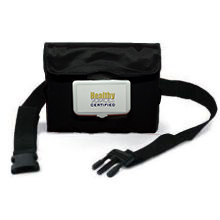 The personal hand sanitizers and cleaning wipes are also both extremely effective. 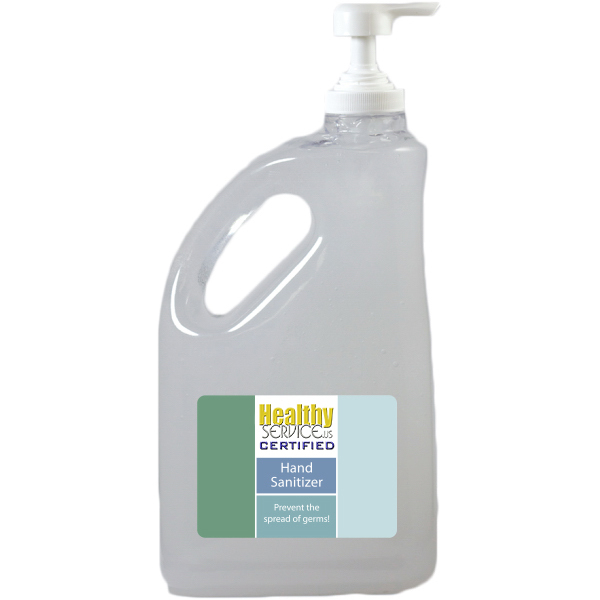 Our refreshing, citrus-scented antibacterial hand sanitizer gel kills germs any time soap and water are not available. Great for tableside use, this product exceeds FDA standards, containing 62% alcohol. At 2" w x 6" h, it has a small footprint to not take up precious space on a table. 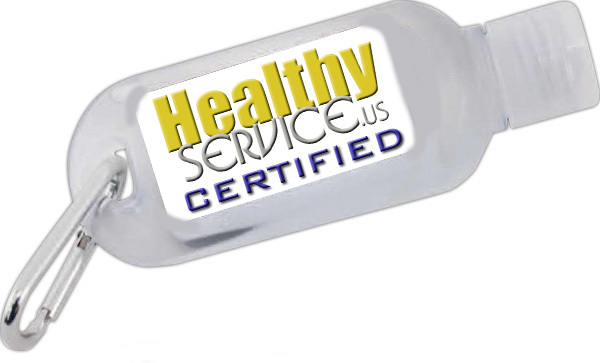 The great looking custom bottle, and Healthy Service logo lets your customers know you have the higher standard. A great way to keep your service staff germ free! Enjoyed by the staff, and more importantly, readily used. Save money with this convenient pump refill. Pre-moistened Professional Brand Table Wipes are the quick, easy-to-use alternative to cotton rags that get re-used table to table. Eliminate unsightly dirty towels from your front-of-house operations -- Non-streaking formula -- Quick and easy to use. Each wipe is 7" x 11-1/2" in size. Case of 12 packs, each pack contains 80 wipes. Certification is issued once the employees have passed the training course and we have received confirmation that the policies have been implemented. We have a customer comment system which is available to managers to review and address (not viewable to the public). Physical inspections are made by Healthy Service staff at random, or if we have received verified public complaints.